Used A500 Sony Digibeta Player/Recorder.Low head hours. This was used until recently at a post house and performed flawlessly. 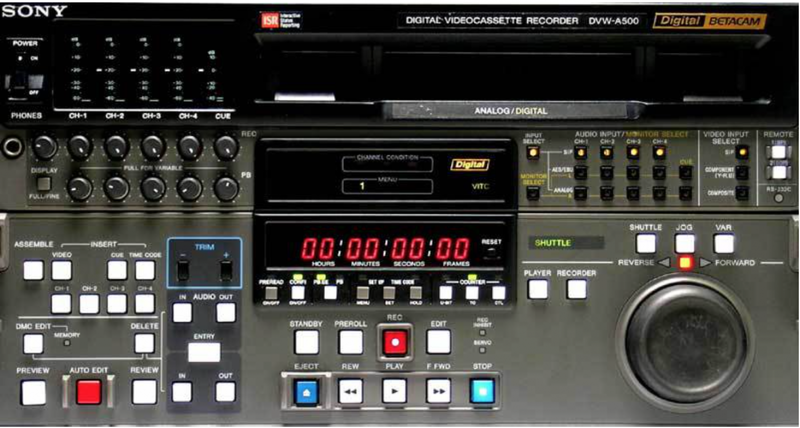 The DVW-A500 features coefficient recording (component digital), pre-read capability for video and audio, SMPTE 259M serial digital V/A interface, built-in analog video and audio interfaces, analog Betacam SP playback capability, optional composite analog input (included), and 4:3 and 16:9 capability. Built-in A/D and D/A converters for both audio and video signals allow for direct interfacing with analog equipment. Recognizable color pictures are provided in shuttle mode up to speeds of approx. 50 times normal playback. 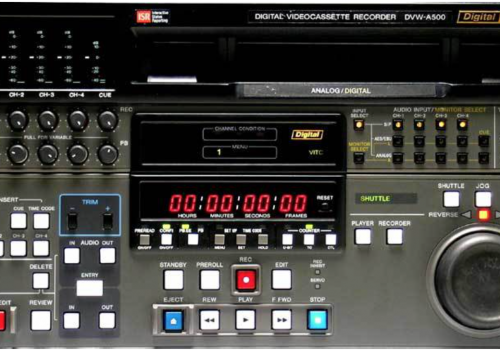 The DVW-A500 has a Program Play mode which allows video recordings to be reproduced over a range of 15% normal speed, in increments of 0.1%. We add hundreds of new listings every week. Be sure not to miss any Sony DVW-A500 Digibe by subscribing to our email updates.